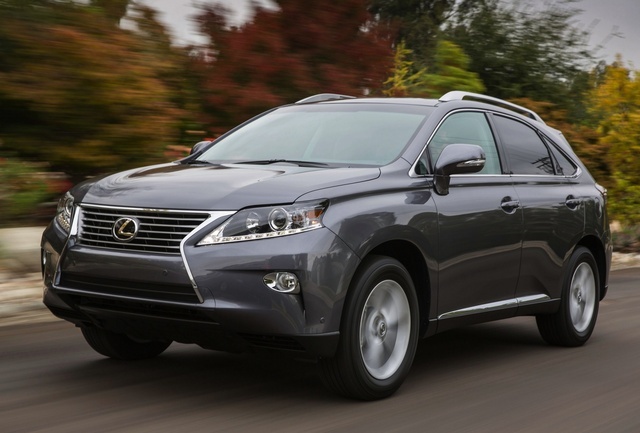 Users ranked 2014 Lexus RX 350 against other cars which they drove/owned. Each ranking was based on 9 categories. Here is the summary of top rankings. Have you driven a 2014 Lexus RX 350? Displaying all 5 2014 Lexus RX 350 reviews. Particularly impressed by the Comfort pkg. Extremely quiet and very responsive handling. Looks/Style Ranked 2006 Lexus RX 330 AWD better. "I dont really like the grill treatment of the RX350." Value Ranked 2006 Lexus RX 330 AWD better. "The RX330 is going to cost less than the RX350 in todays dollars, making it the better value. " Back Seats Ranked 2013 Lexus RX 350 FWD worse.